The contents are in place to provide an education that transcends the usual level of information in terms of subject matter and complexity. An example is the inclusion of the architectronics and psychology of web design. The underlying principles of research related to the representation of potentially complex scientific materials that will engage with a young audience, using illustration as a means to expand and extend the visual literacy of this audience. There has been a twenty five year engagement working with natural science subject matter including much commissioned work for international publishers and also a major scientific illustration research project which has facilitated a deep understanding and connection with some in-depth principles of evolutionary and ecological concepts. These have been drawn upon with regards to the subject matter here. Published predominately for the North American market. The essence of these books is to provide lucid text and dynamic highly detailed illustrations that describes major physical, habitual and behavioural characteristics of a broad and relevant range of arachnid and lizard species. 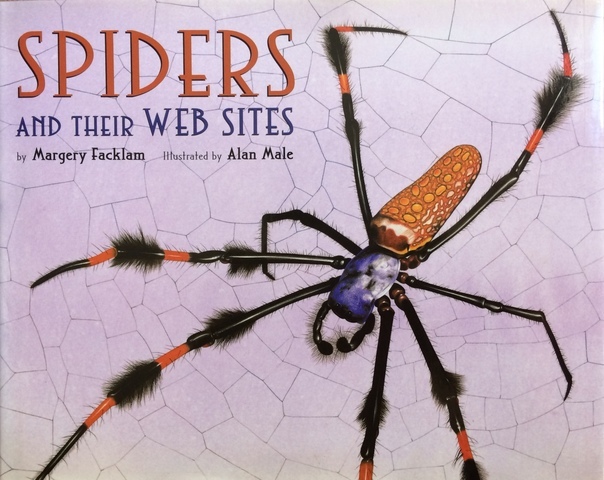 Spiders and their Websites was a recipient of a Texas Bluebonnet Award for children’s books.